Anyhow, I really like that they listen to the feedback and actually do something with it. I’m excited for the new stuff that is coming, but I would also like to see some new buildings/attractions and maybe decorations? 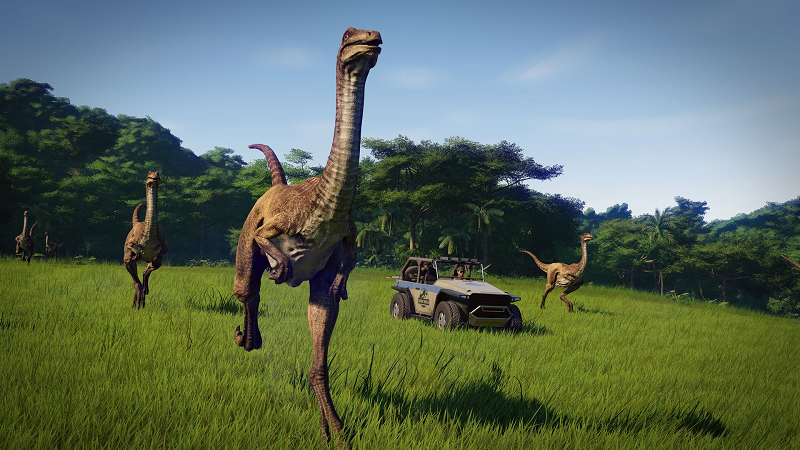 I’m really hopeful that Jurassic World: Evolution would add Blue and her packmates as new skins for the Velociraptor in their next update! Why? Unless you like the skins… You realize it won’t ACTUALLY be Blue, right? Even if you name it that. But considering how all of JWE’s dinosaurs that have been shown on-screen in the Jurassic franchise are based on their appearances from JP///, JW and JW:FK; as well as how Blue has a significant role from the game’s InGen Database Memos, and from both Jurassic World movies, it’s very surprising that there isn’t a Rainforest skin for Velociraptor based on Blue. TROODON! I love the general idea of adding it to the game, along with the venom it’s obvious they based it off of TellTale. The model looks scientifically accurate. Which is nice, I do hope that they have a skin like Savanna to get TellTale’s original color. The version from Steamblust is a perfect realistic reimagination, and looks quite at home within the Jurassic universe. Perhaps there might be licensing issues from Telltale? After all while it was a game using Jurassic Park’s license, Troodon’s unique design was made by Telltale. The LEGO Jurassic World game used the same texture on a more ornithomimid-like model, so Frontier had more flexibility here than they’re wielding. But Lego Jurassic World was released back in 2015, before Telltale went bankrupt. 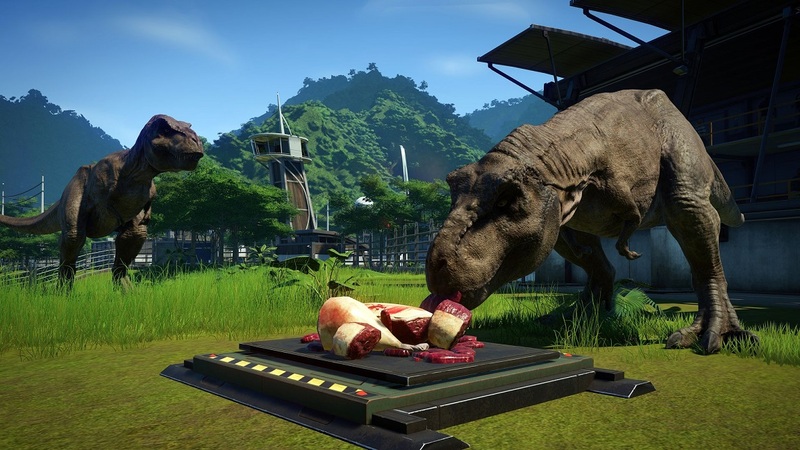 The Secrets of Dr. Wu, and to a greater extent Jurassic World Evolution, were developed and released during Telltale’s internal restructuring and studio closure. But Lego Jurassic World was released back in 2015, when Telltale was still a corporate entity. The Secrets of Dr. Wu, and to a greater extent Jurassic World, were developed and released at the same time Telltale went through internal restructuring and studio closure. But Lego Jurassic World was released back in 2015, before Telltale went bust. The Secrets of Dr. Wu, and to a greater extent Jurassic World Evolution, were developed and released at the same time Telltale went through staff layoffs and studio closure. I honestly like Telltales version better, minus the face. We do need one like Steambusts Troodon. the ONE thing i’m really bummed about in this game is the indoraptor patterns. instead of just changing the stripe, it would be more fun to make it a bright green, or white like that scrapped design for the other one. other than that, great highly recommended game. new hybrids look amazing. There are a few things I would love to see. Number 1: aquatic dinosaurs as well as additional accompanying features or attractions like a submarine or underwater viewing structure. Number 2: flying dinosaurs, including an aviary. Number 3: new buildings, including shops. Number 4: rides. Roller coasters, egg spinner, the water park, ECT. Number 5: classic Jurassic park buildings, such as the visitor center. Number 6: decorations, such as waterfalls, rocks, statues, animatronic dinosaurs or signs, gates that can close or open between pathways to secure areas of the park, shows. Number 7: petting zoos and other areas for kids. Oh and number 8: a mainland Jurassic world that serves as a much larger building sandbox space that starts as a flat surface and allows for a much larger park without the constraints of a small island. Could be useful if they ever include a lot of the other things to allow more space. I couldn’t be happier with the design of the Troodon! Let’s move as far from that point and click travesty as we possibly can! This game is bland. I love Jurassic Park and Jurassic Park operation genesis, but this is getting bad. I’m tired of new dinosaurs! We have countless numbers of dinosaurs yet the same building, structures, trees and grasses, and decorations. All the parks look the same. Let’s get on this!! Customers: what we really want are more decorations and tools to make our Park our own! Frontier: have you seen our new dinosaurs? The reason this is the case is simple to see. It is the same reason graphics look incredible today but A.I hasn’t improved since 2003… TIME, MONEY AND WORK! Those things go against the quick cash-grab mentality of today’s world. I feel like the addition of more dinosaurs is pointless at this point. I love Jurassic Park and Jurassic Park O.G., but this game is getting boring. I want to see more decorations and decoration tools. All my parks look the same. New dinosaurs only do so much. I would like to see more buildings, structures, decorations, terrains, plants, and THEN more diverse dinosaurs. Customers: we would really like to see more plants and buildings to decorate our parks to really make each park our own. We’re starting to get bored with what we have. Frontier: how about new dinosaurs? These next creatures are really cool! Frontier: you can now create your own dinosaur!